Recorded at The Tranzac's Southern Cross Lounge (Music By & For Ken Aldcroft XXIV), December 12, 2018. 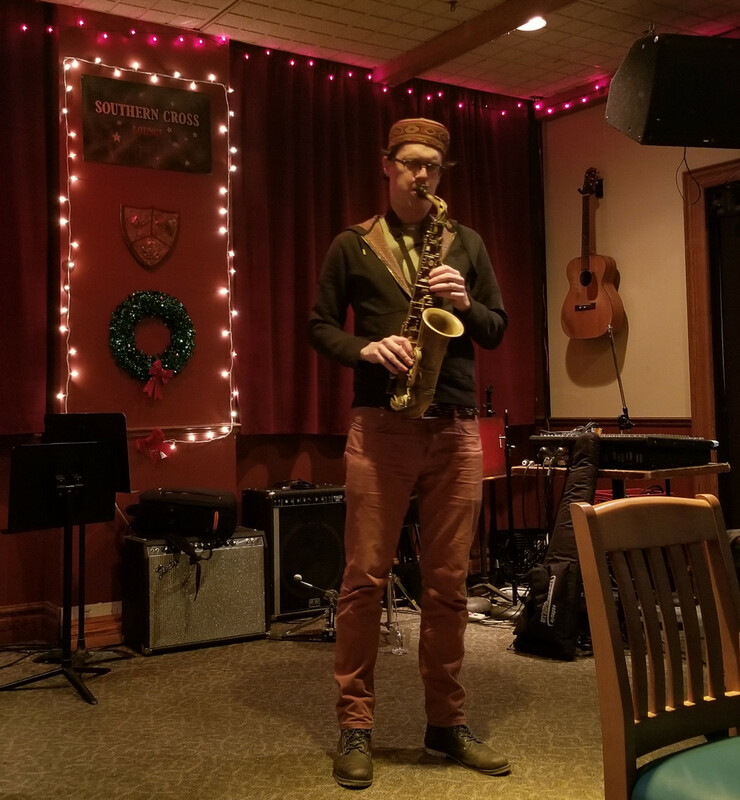 Saxophonist Andrew Kay had previously played this series with some music by Ken Aldcroft, but this time brought some solo and duo improvisations in his memory. Alternating between alto, clarinet and bass clarinet, there were some different textures and moods explored here, especially when Jake Parker Scott (now based in Oakland) joined in on alto, a touch of piano and some genteel impromptu percussion.